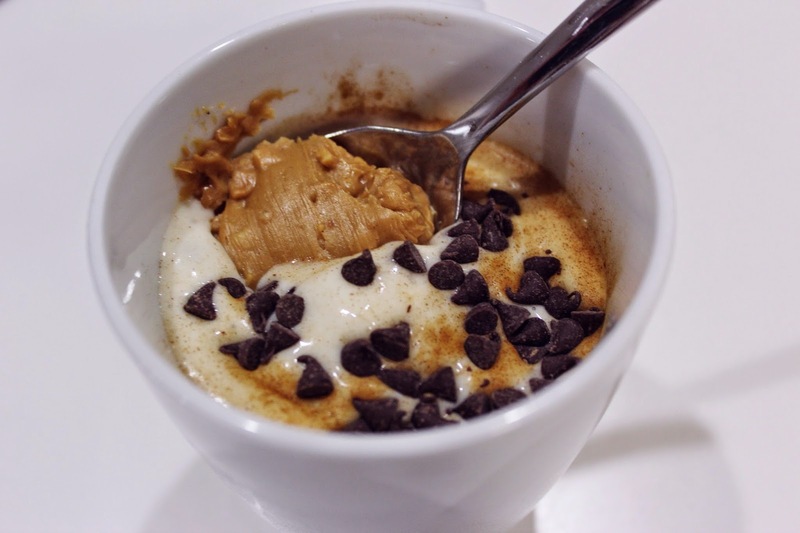 If you've never tried this magic, get ready to be amazed. It's all over Pinterest for a reason, people! 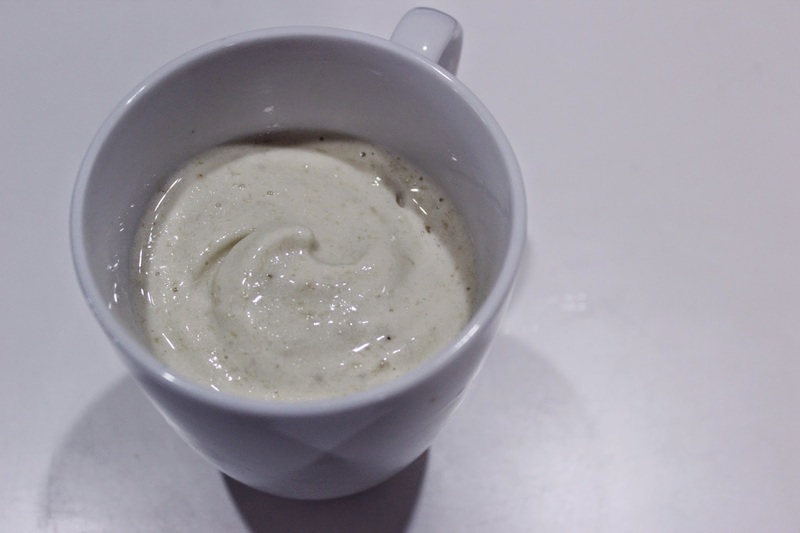 Only two ingredients - frozen banana + low fat milk - yields a creamy treat to satisfy any sweet tooth. First, cut a banana in thirds and freeze overnight. 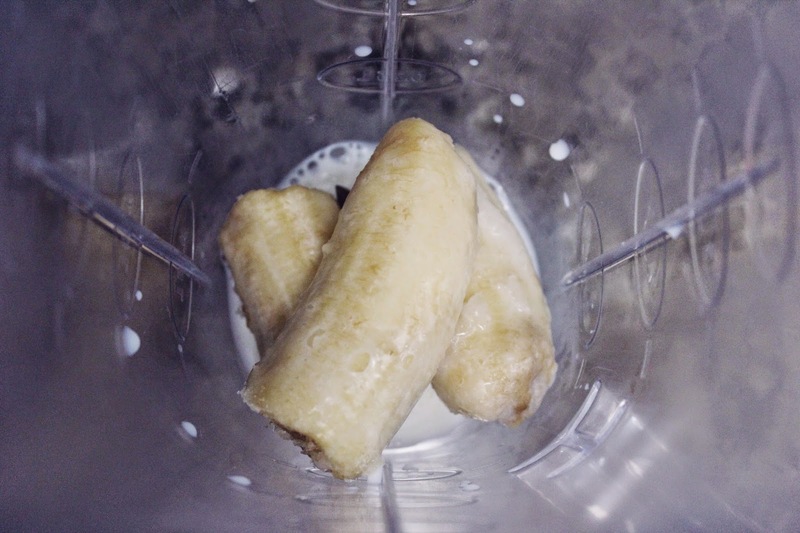 Once frozen, place the banana into a blender with a splash of low fat milk (soy or almond would work, too). 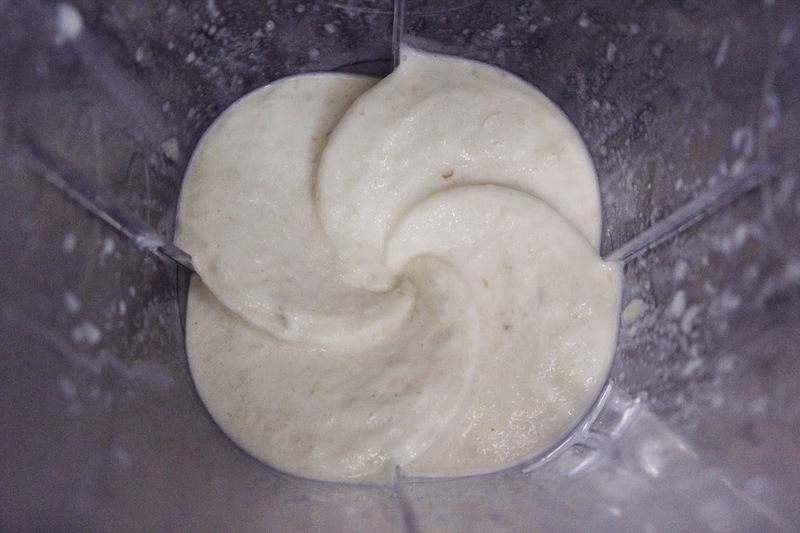 Blend the banana and milk together until they reach a smooth, soft-serve-like consistency. 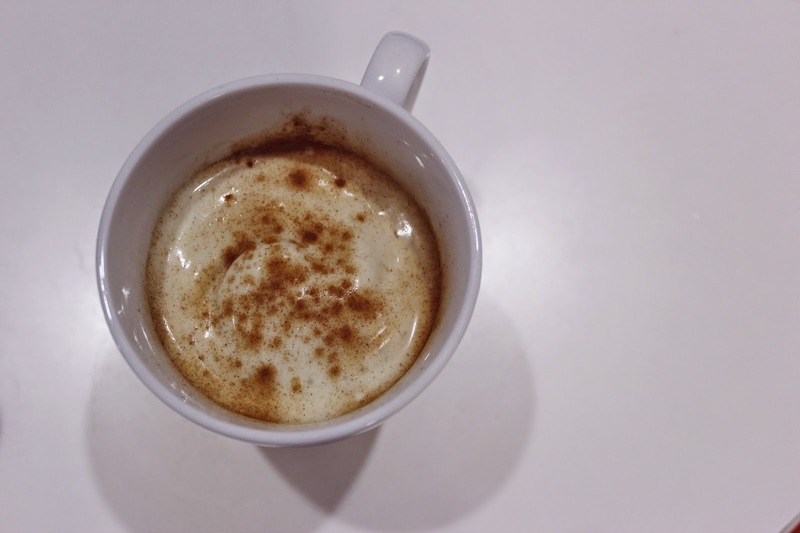 You may need to add a bit more milk if you find that the ingredients are not blending smoothly. A sprinkle of cinnamon makes this ice cream taste just like banana bread. So good. 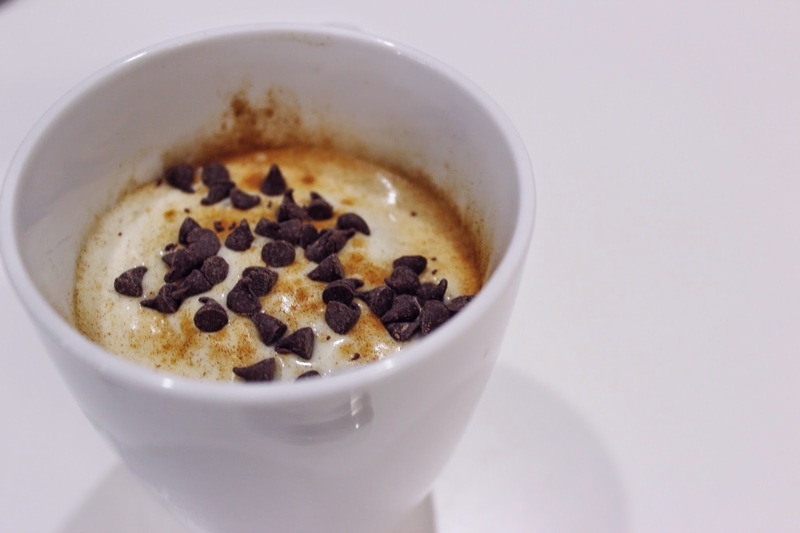 Top with semi-sweet chocolate chips. You won't regret it. Oh, and don't forget a spoonful of crunchy peanut butter, because PB + Banana is the ultimate combo. 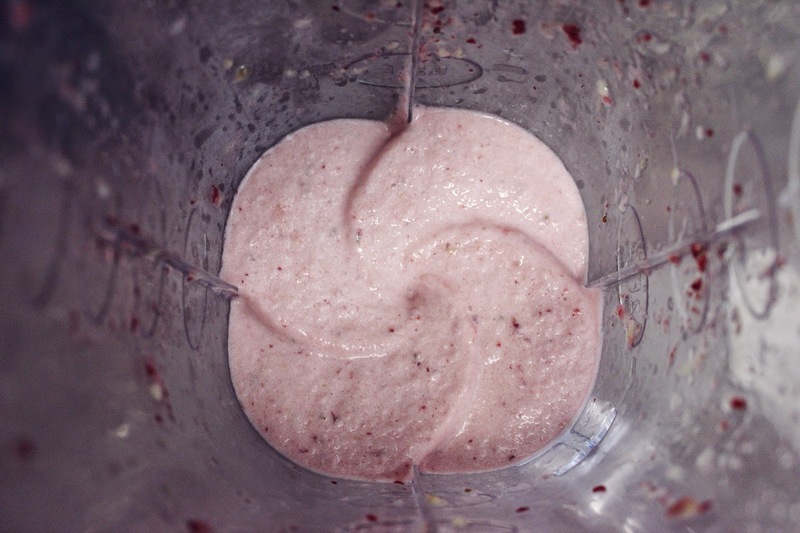 Before blending the bananas and milk, add a couple of frozen strawberries + a spoonful of honey. 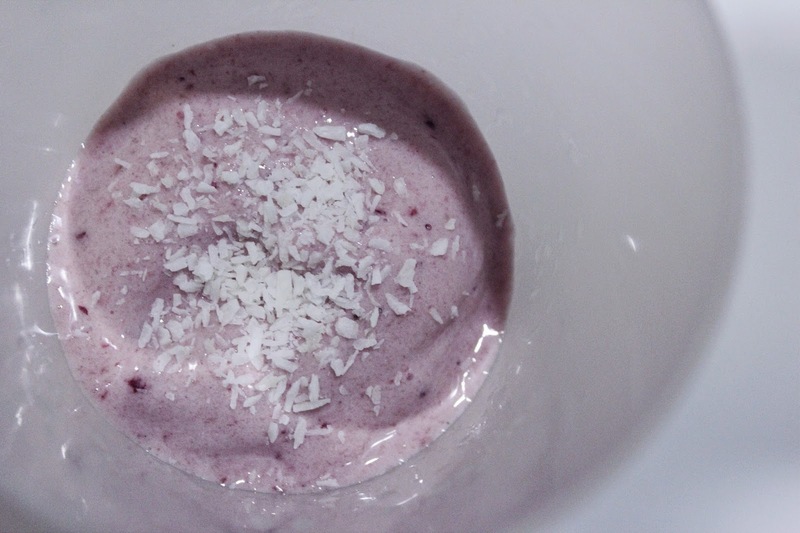 Blend together, and you get this beautiful pink color.